Demonstrate the morphology of a stream. This economical stream table will give your students the chance to create their own landforms and follow the changes in the stream as it ages. Includes Teacher's Guide. Great for use in the classroom. Also is used with the ESCP program. Order everything you need to create streams and landforms, all in a convenient, tabletop size. 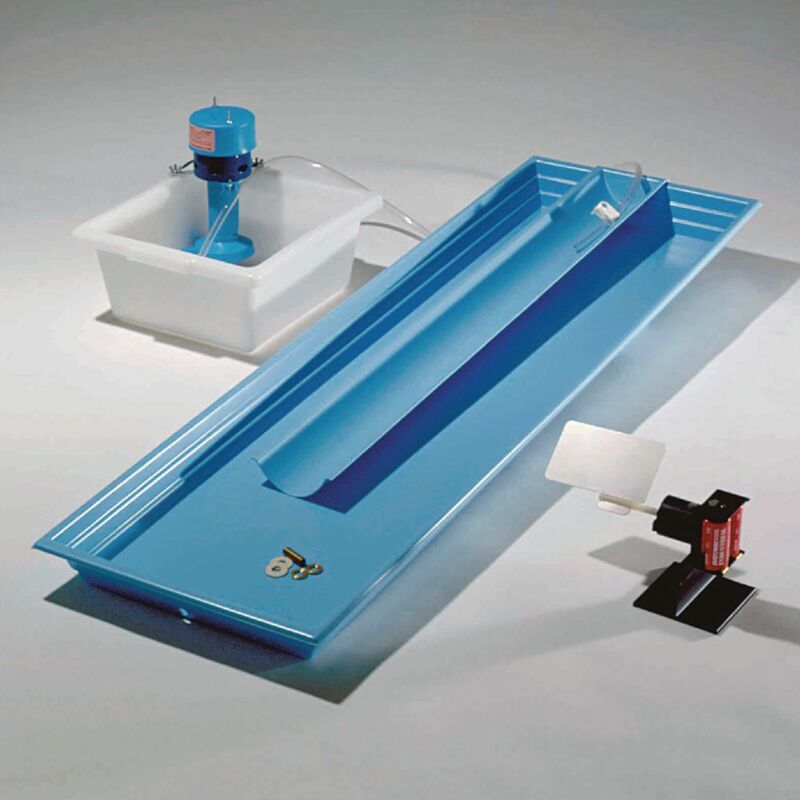 The kit comes with a lightweight plastic tray with drain, 48"L x 14"W x 3"H; stream trough; elevating wedge; 6' siphon tube; and clamp, recirculating pump, and the wave maker.